As a stupa is a reliquary monument, its design reflects its purpose as a receptacle for various substances and sacred objects. Hollowed-out spaces and different types of niches make up its interior. 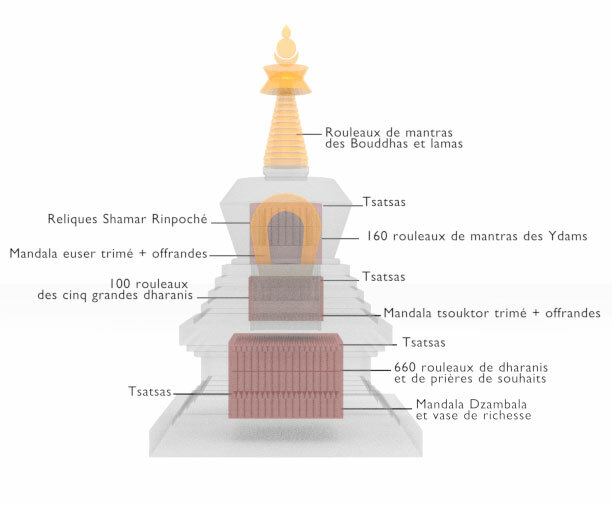 The contents of a stupa and its ritual consecration (rabne in Tibetan) give it its force and make it a support for practice that carries the blessing of the three jewels. At Dhagpo, Lama Jampa will guide the preparation and installation of the various substances of the new stupa in accordance with a text by Jamgon Kongtrul Lodro Thaye (1813–1899 CE). We will place the substances in the center of each of the stupa’s parts: the base, the middle section (the steps), the vase or bumpa (shaped like a bell), and the thirteen upper rings. Arbitrary desires do not decide the contents; there is a very precise codification described in certain Buddhist texts. We can see that numerous offerings will fill the interior of the stupa. These include food (dried seeds), jewels and semi-precious stones, tsatsas (1) and blessed and/or sacred materials (medicinal substances, earth from holy places, clothes of and pills consecrated by the 15th and 16th Karmapas). In addition to this, there will be mandalas engraved on metal plaques, each one figuring the palace and entourage of a divinity along with the eight traditional offerings (those typically found on altars). A mix of thorns and resinous wood chips with incense will fill in the remaining gaps. At the time when stupas were not fully sealed, this filling doubled as insect repellant and a fragrance offering. The stupa will also shelter numerous mantra rolls of varying sizes (roughly 2–30 cm high) containing many different mantras and texts. These include, in particular, a series of mantras particularly connected to the Buddhas, bodhisattvas, yidams, lotsawas (great translators), mahasiddhas (great accomplished ones) and mahapanditas (great scholars), as well as a second series of mantras connected with various lamas (i.e. karmapa khyenno). The five great dharanis (2) that we find in every stupa or statue are also represented. 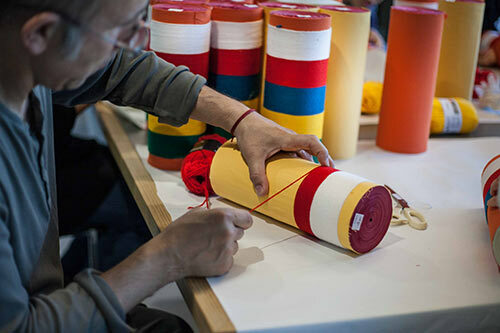 And lastly, to correct the mistakes we may have made during the preparation and installation of the contents of the stupa, we will put rolls of Dorje Sempa’s mantra and the mantra of interdependence (Tendrel Nyingpo) a bit all over the place! We will place a copy of the Kangyur (3), a symbol of the Buddha’s enlightened speech, in the vase or bumpa. The tree of life, called sokshing in Tibetan, stands from the base of the bumpa up to the uppermost extremity of the stupa. 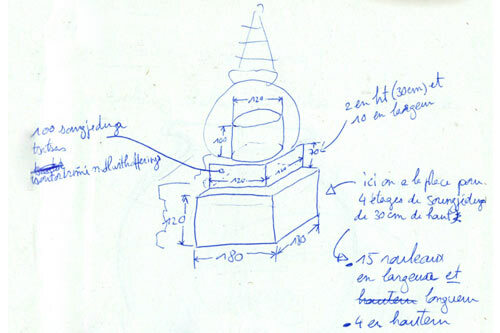 Lastly—the raison d’être of a stupa—the relics are carefully conserved in an urn. The urn will contain those of Kunzig Shamar Rinpoche of course, but it will also house relics from the Karmapas (notably the 16th Karmapa). All of preparation will take place over several months. 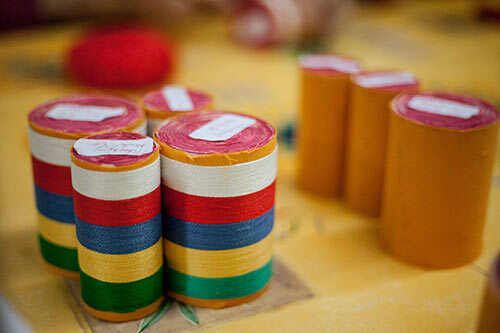 The most wonderful part of this adventure is that everyone can participate, whether through offering jewels and semi-precious stones, by making a donation, or by volunteering to take part in the fabrication of mantra rolls! 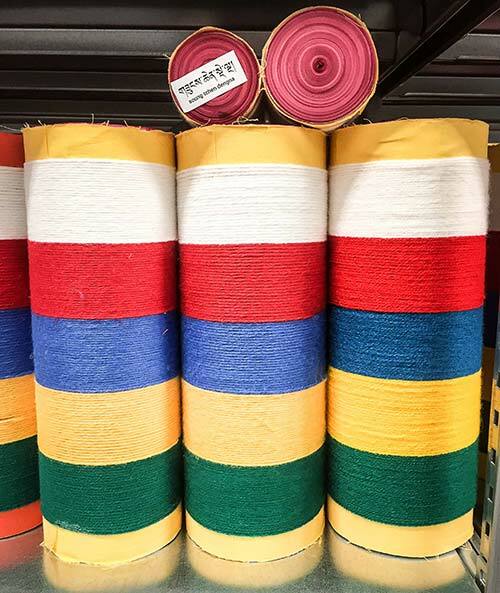 All are meaningful ways of connecting with a project to provide for all a place of meditation marked by Kunzig Shamar Rinpoche’s presence and a support for practice dedicated to enlightenment and the benefit of all beings. 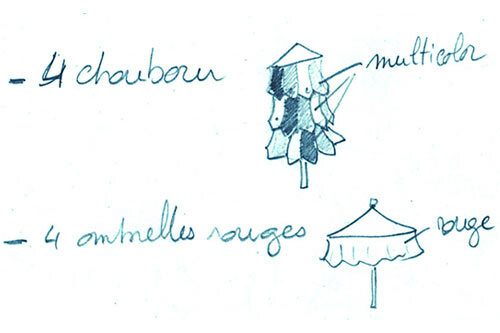 If you would like to join the mantra roll ateliers, please contact us at : stupa@dhagpo.org. If you would like to participate to the project, please visit our page “Join In”! (2) ↑ A dharani is a long mantra that summarizes the Buddha’s teaching; the five great dharanis come directly from Buddha Shakyamuni. (3) ↑ The Kangyur is the compilation of the words of the Buddha, collected by his disciples following his death. 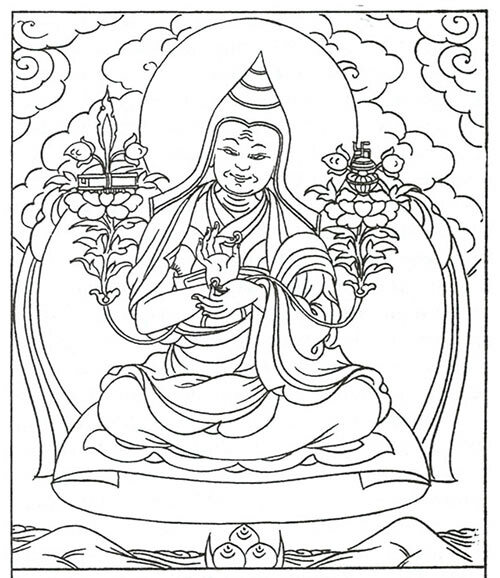 The Kangyur and the Tengyur together constitute The Tibetan Canon.